*Columnist Cindy Adams wrote in the New York Post that because of low ratings, “The Queen Latifah Show” “isn’t a royal smash” and it is “unclear if it’s on next fall” in New York City. Sony stomped out the fire quickly. In what was called a “categorical denial,” a spokesperson for producer Sony Pictures Television said Tuesday that the daytime talk show is not being bumped out of its 9 a.m. slot on WCBS-TV, according to The Hollywood Reporter. Sony says Queen Latifah has a contract that guarantees her return in September for a second season on the CBS stations and others, in the same time slots. The company also said the show will look a bit different next season. The show’s ratings performance this fall will determine if it lasts beyond the second of two seasons that stations signed up for last year. That decision will likely be made in October or November. Bill Carroll, vp and director of programming for Katz Media Group, points out that besides Disney’s “Live With Kelly and Michael” — currently the top-rated talk show on TV — the 9 a.m. slot in New York City also features the fourth hour of NBC’s “Today” show, the popular Fox show “Good Day New York” (which often beats the network shows), veteran talker “Maury” and others on broadcast and cable. If the Queen is dethroned, CBS has actor Jerry O’Connell developing a talk show that appears to be aimed at the same heavily female daytime audience. The program, which will have co-hosts and guest stars, is taping at least three test shows this week (Tuesday and Wednesday) at Sunset Bronson Studios in Los Angeles. If the tests go well and the slots open up, O’Connell would be perfectly positioned in a CBS-produced show to be featured on the CBS-owned stations starting in September 2015. The O’Connell program is rumored to be called “Man In the Middle,” and reportedly will have several co-hosts alongside O’Connell, who has starred on several short-lived sitcoms in recent years (“Carpoolers,” “Do Not Disturb,” “We Are Men”). Based on a pitch made public to recruit an audience to attend the O’Connell test shows, topics include interpersonal relationship advice and women’s pet peeves about their spouse’s eating, sleeping, driving, pets, hobbies, in-laws and more. The pitch also seeks people who are fans of the HBO show “True Blood,” apparently because a guest on at least one test show will be Joe Manganiello, who played Alcide Herveaux on the vampire series. Other guests rumored to be part of the test include Joel McHale and D.L. Hughley. O’Connell, who is married to actress Rebecca Romijn, has sat in as guest host on the top-rated syndicated ABC show Live With Kelly and Michael. But if his new talk show does eventually replace Queen Latifah at 9 a.m. in New York, it would be up against Live and others. 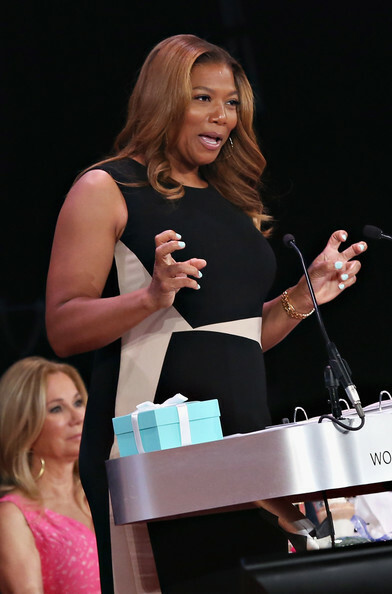 In its first season, Queen Latifah has a household rating of 1.1 and a 0.7 rating in the key demographic group of women 25 to 54 years of age. Her show is attracting about 1.4 million viewers a day. In New York City during the May sweeps, Queen Latifah had a 1.3 household rating and a 5 percent share of the available viewing audience. In the demo it had a 0.6 share and 4 percent of the audience, which is actually a 50 percent improvement over the audience it inherits from CBS This Morning. That position is part of the problem. 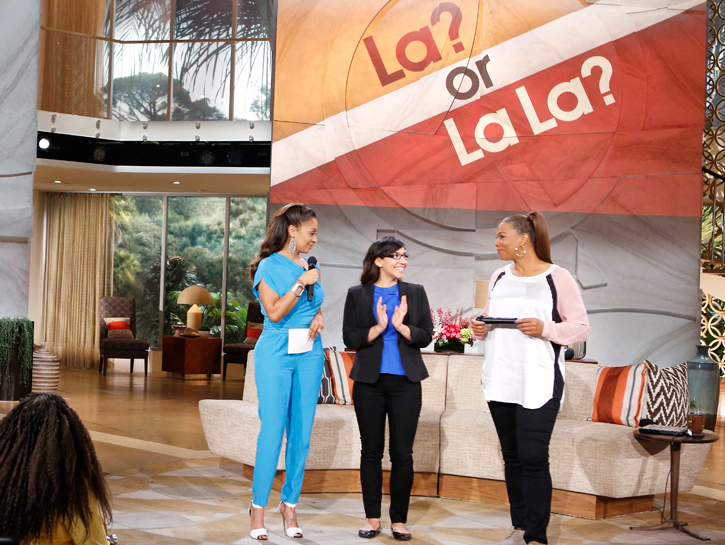 Queen Latifah is designed to attract a young and urban audience. The viewers it attracts from the CBS show tend to be older and more Caucasian. The Queen isn’t going down without a fight. In June, Sony made a number of changes behind the scenes, including naming Todd Yasui to replace Corin Nelson as showrunner. Yasui, who has been Queen Latifah’s co-executive producer this season, is a former executive producer on CBS’ Late Late Show With Craig Kilborn and was a segment producer on NBC’s Tonight Show With Jay Leno.